Kiwis have some $50 billion in their KiwiSaver accounts, ageing nicely for that dream retirement. It’s a government initiative designed to encourage saving through a regular system for contributions…with employers and the state sweetening the pot. Overall, it’s a great idea for savers. But it’s NOT the silver bullet for achieving that comfy retirement. Even when paired with NZ Super, it can fall short of meeting even basic needs…so it’s important to consider a diversified strategy that includes all sorts of investments. Here at Money Morning New Zealand, we’re big fans of stocks (and I’m not talking KiwiSaver funds). Self-managed brokerage accounts can go a long way in making your savings work for you and boosting that nest egg. But the problem is, for most Kiwis, investing can seem scary, while KiwiSaver appears safe. Better let the pros handle the investments, right? Investing can be quite simple…and you can get started in a matter of a single afternoon. And once you’re set up, you’re able to pick and choose the companies you like…and likely capture greater gains than the most aggressive KiwiSaver fund (or property). For example, my paid research service for investors, Small-Cap Speculator, is sitting on about 15% gains in two months. As you’ll discover below, even the top-performing KiwiSaver funds from pros like Milford or ANZ can’t get close to those sorts of returns. Morningstar, a financial data firm, recently released their December report on New Zealand’s KiwiSaver products…and the results are atrocious. Your average default option only generated a 1.5% return in all of 2018. Conservative and moderate eked out a positive return just above zero. Balanced went –1.3%. Growth went –2.1%. And what about Aggressive? It went –4.1%. Consider the fact that the inflation rate was about 1.5-2% during the same period. That means every single risk group went negative in a real sense. And what makes it worse is that these providers have the audacity to charge members a fee for these kinds of results. That’s right…you probably paid $30 or so for some financial institution to lose your money last year. AMP, ANZ, and OneAnswer were some of the worst offenders. To put it into perspective — if you’d purchased shares in the 50 biggest companies on the NZX (the NZX 50), you’d have made 5.1% returns. And that’s without doing any analysis — just buying the big boys. Now, as an investor, I understand that markets work in cycles…and that years of plenty are normally followed by years of famine. So a low point in 2018 probably means a pick-up sometime in the next few years. But at the same time, I know (and have the results to show for it) that smart investing can produce a return even in the worst years. During the Great Financial Crisis, investor legends like Warren Buffet, John Paulson, and Carl Icahn made billions by looking at the big picture…and preparing accordingly. For them, those dark days were some of their most profitable…and proved that smart investing can pay off any time. Morningstar suggested it was the Australian financial market that pulled it down. The NZ Herald threw out a number of concerns: panic selling, the trade war, interest rates, and even emerging markets. Stuff echoed the Herald but added that members ought to look past a bad year and see that the funds have performed okay over the past decade. In that vein, National Business Review focused completely on the long-term results…and applauded Brian Gaynor of Milford Asset Management for topping the charts with their Active Growth portfolio. While it returned negative real returns in 2018, it’s managed to generate 12.8% average returns per annum over the past decade. ‘You certainly should not rush out and change your investment strategy to try and avoid what you might think is an impending downturn. Perhaps the point they’re trying to make is that it’s unwise to react emotionally to temporary market movements. But it’s equally as unwise to take your hands off the steering wheel…to turn on autopilot for your finances. If there’s a crisis around the corner (perhaps it’s already begun), then the best thing an investor can do is be proactive and prepare. Consider how your wealth is stored…stress-test your positions against various downturns. For example, let’s say something happens with the US/China standoff…and stocks tumble 15%. Are you in funds that would reflect that downturn? Or assets that hedge against it? Hopefully, you’re in a bit of both. If stocks tumble 10% and gold rises the same amount, would you benefit or lose? If property crashes 35%, would you be able to retire as planned? We’d all rather these scenarios never happen — but if they do, would you be ready? The point is, as these KiwiSaver results prove, that all investments are vulnerable one way or another…and a wise investor arranges his wealth in a formation that allows him to capture upturns while protecting against downturns. 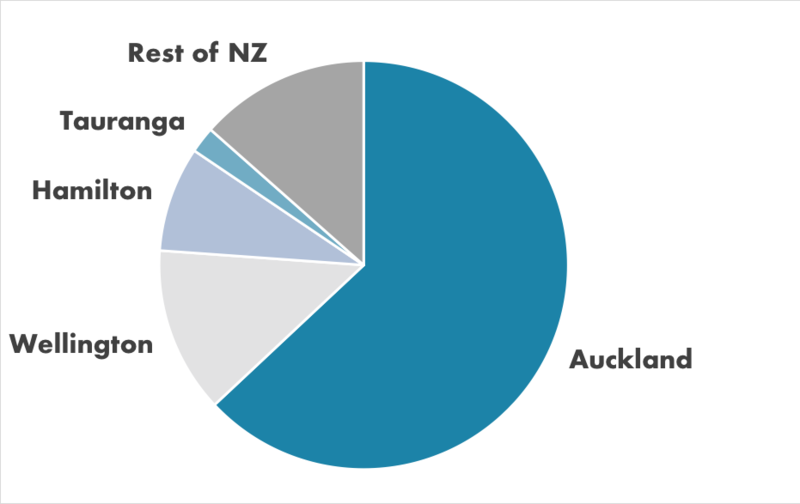 If you’re in property and KiwiSaver…and not much else, it might be a smart time to diversify. You make some compelling points about KiwiSaver Taylor, but what about the government contributions (up to $500 annually)? Are you taking that into consideration into your analysis of KiwiSaver being a bad investment compared to having your own portfolio? (I have 70% of my portfolio in stocks and the rest in KiwiSaver). I accept your points re annual returns being better by investing simply in the index c/f kiwisaver investing indirectly, but you are missing a few vital points, an important one being that kiwisaver is an investment of income whereas investing in the index is an investment of capital ie you need a lump sum. The main difference however is that kiwisavers get two other benefits. One is the employer benefit up to 3% of gross income the other is a maximum of $532.00 from the government as long as a minimum of $1040 is contributed personally. That would include most people as only a gross salary of $34666 at the minimum 3% level is required to acheive that. Have to be careful to look at the full story or qualify your comments.